We are loving the fall weather but sometimes it is hard to decide what to eat when temps have been wavering between 40s and 80s! I wanted something soft, spiced, and warming but also cold and crisp. That is how this dinner was born. While my quinoa cooked, I chopped up some vegetables and essentially made a curry. 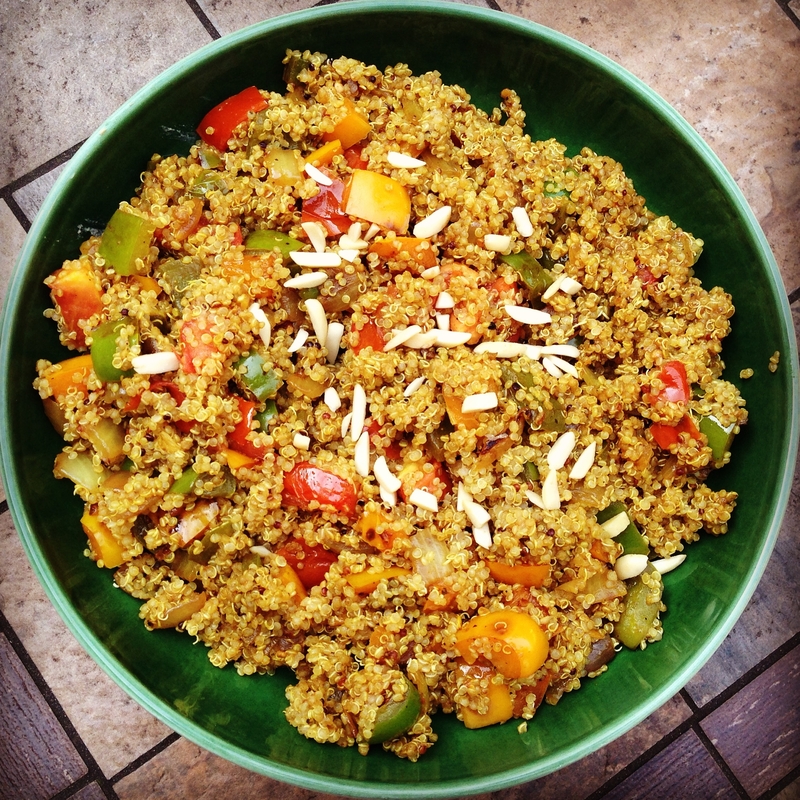 After mixing in the cooked quinoa and garnishing with almonds, it was all ready to enjoy! Moroccan dishes often feature something sweet like honey or dried fruit such as apricots but we didn’t include those this time. A dollop of store bought or homemade hummus completes the meal! 1. Rinse your quinoa in a mesh strainer. This is really important to remove the slightly bitter coating. 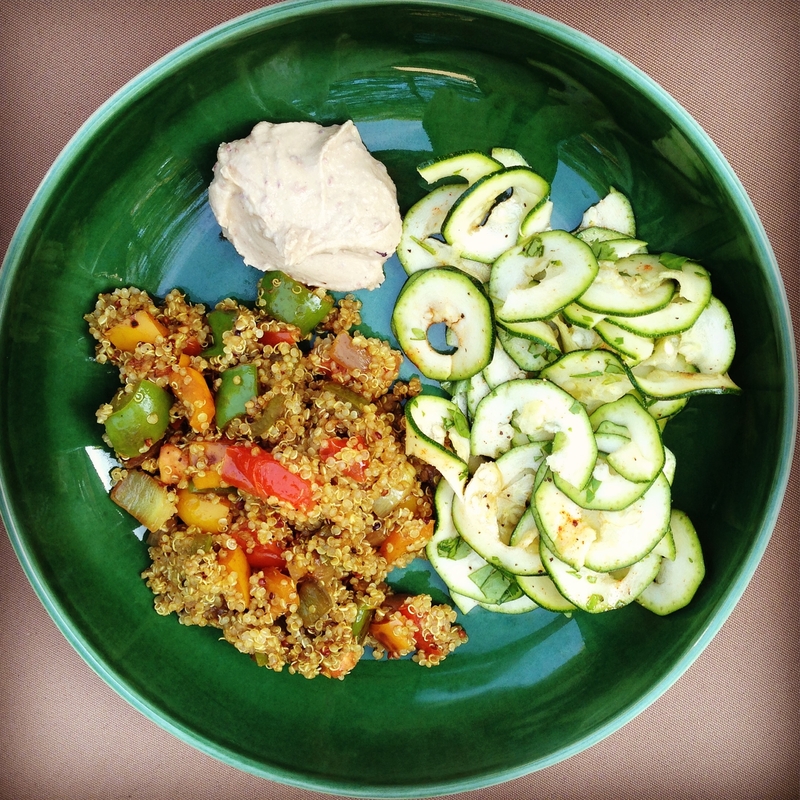 I never liked quinoa until I started doing this! 2. Add quinoa and water to a pot and bring to a boil. Then cover, lower heat to a simmer, and cook 10-15 minutes until most of the water is absorbed. 3. Meanwhile,warm olive oil in a pan over medium heat for a minute and stir all of the spices right into the oil. This toasting of spices infuses the oil and develops a deeper flavor in the overall dish. 4. 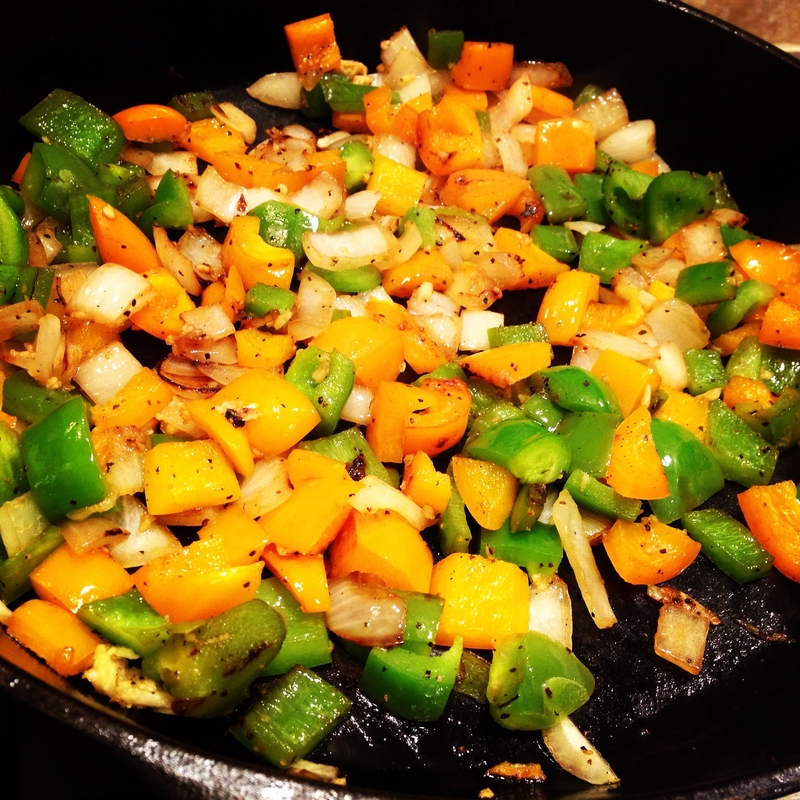 As soon as you’ve done that, quickly add in the peppers and onions. Season with salt and pepper. Cook until softened, about 10-15 minutes. 5. Mix in tomatoes and season with more salt and pepper if needed. 6. Garnish with nuts, dried fruit, or a drizzle of honey if desired. 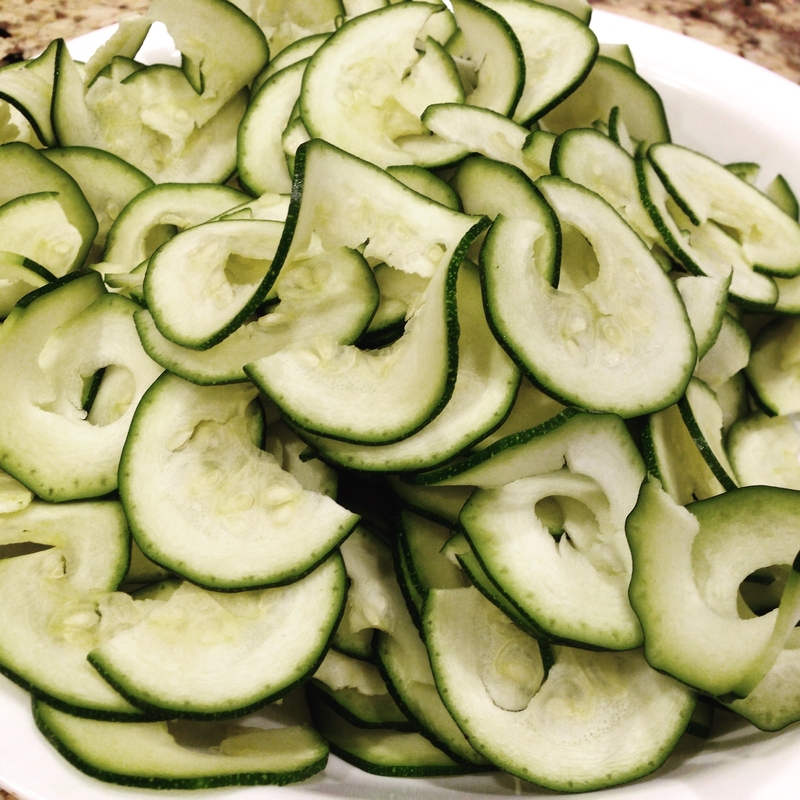 Using the long blade of my spiralizer, I created zucchini ribbons. Some did come out as thin slices in the beginning. I cannot say enough how useful, convenient, and healthy it is to get a spiralizer. I talk about it more in my Zucchini Spaghetti post. This is the one I have and then this one is cheaper. I just advise against a handheld spiralizer because I have heard of too many breaking and the noodles/zoodles are more mushy. 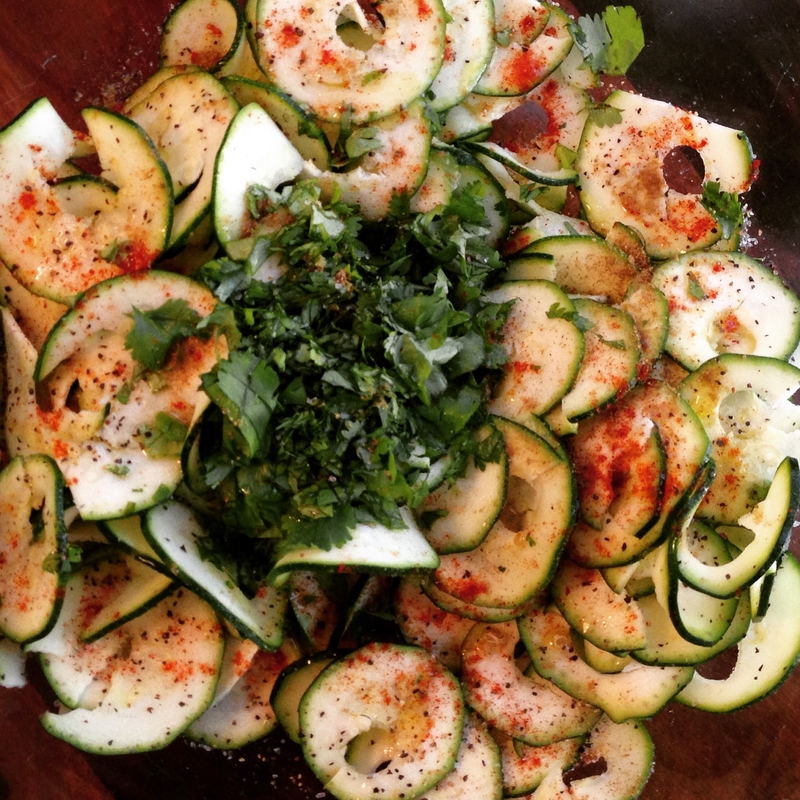 You can absolutely make this salad by just slicing the zucchini. This salad took maybe 5-10 minutes to throw together. 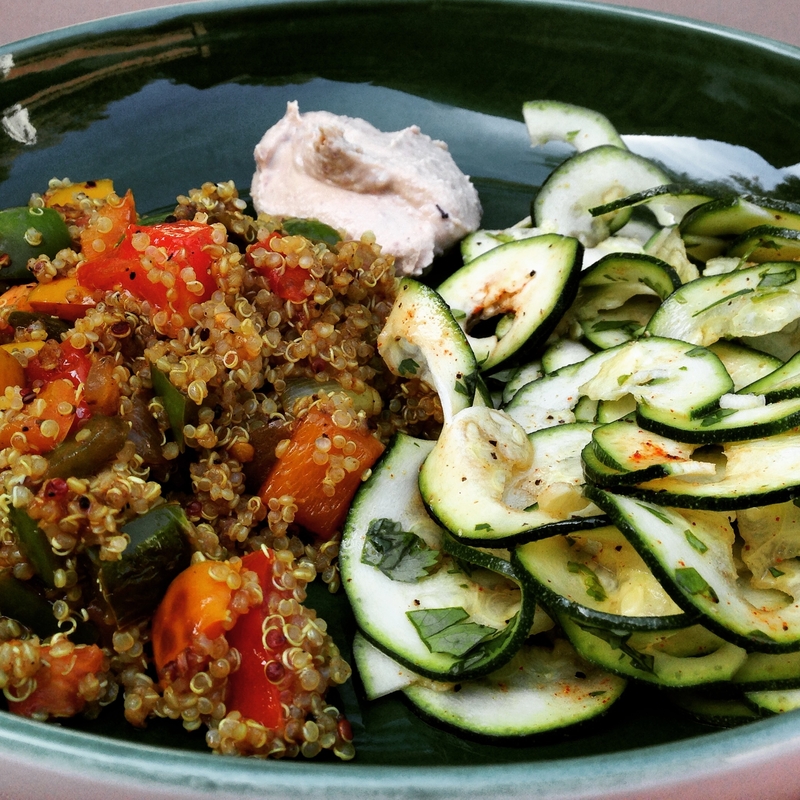 I incorporated some spices to go along well with the quinoa. 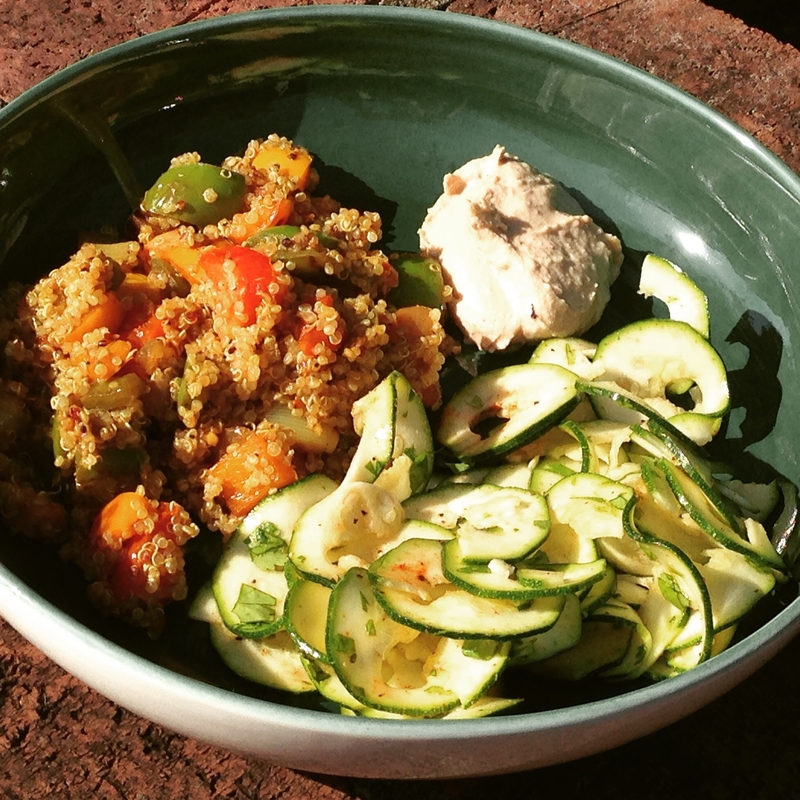 Just toss everything together in a large bowl!